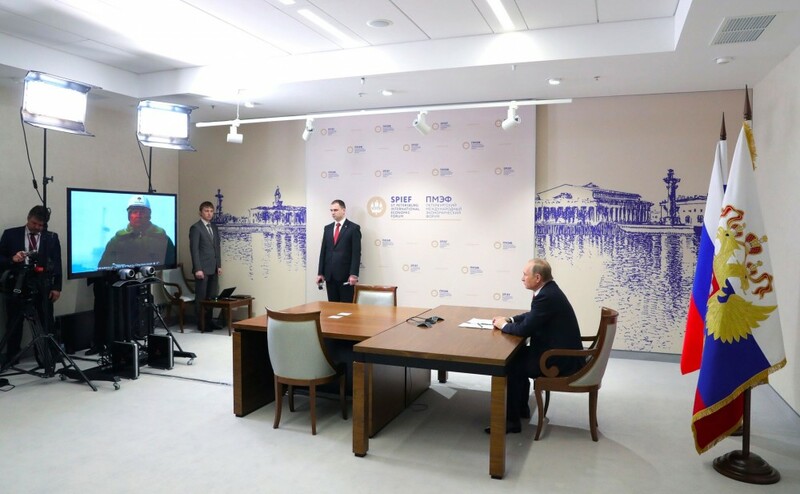 «Lets start drilling», President Putin commands company leader Igor Sechin in a direct televised transmission between the Kremlin and the coast of the Laptev Sea. The Tsentralno-Olginskaya-1 is the northernmost well ever drilled on the Russian shelf, Rosneft informs in a press release. It is located in the Khatanga license area by the coast of the Laptev Sea. «Dear Vladimir Vladimirovich, we are located on the peninsula of Khara-Tumus in the Dolgano-Nenets area, north of the 73rd parallel, 250 meters from the coast of the Laptev Sea», Igor Sechin told Putin in the transmission. «Behind my back, through the snow drift you can see the drill tower». According to Sechin, the preparations for the drilling have been made in record-short time. The company obtained the license only about a year ago, whereupon extensive seismic mapping was started. A total of 21,000 meter of seismic studies have been conducted in the period and as many as 114 prospective structures identified. The preliminary resource estimates for the Khatanga license area amount to 9,5 billion tons of oil equivalents, Sechin told to the President. During summer 2016, two ice-class ships loaded with more than 8,000 tons of equipment and technology, including the drilling rig, made it from Arkhangelsk to the remote Khatanga Bay. The drilling will be conducted horizontally from the shore on depths down to 5,000 meters. «This will significantly reduce financial resources and provide economic efficiency and high ecological standards», Rosneft says in a press release. «The company is today among the world leaders in the development of offshore fields», it adds with confidence. The drilling comes after Rosneft in August 2016 opened a research base in the area. The base was developed as «a research outpost for development and testing of new technology, technical equipment and materials». The Gulf of Khatanga is among the least accessible places in the Russian Arctic. Located east of the Taymyr Peninsula by the ice-covered Laptev Sea, the license area is open for regular shipping only two months in the year. The nearest settlement is Khatanga, a town with a population of about 2,500 located about 350 km to the southwest. «It is still a long way to go before exploitation, but what we are doing is actually to start the development of a new oil and gas province, which, even with preliminary estimates, holds enormous resources», Putin underlined in the televised meeting. 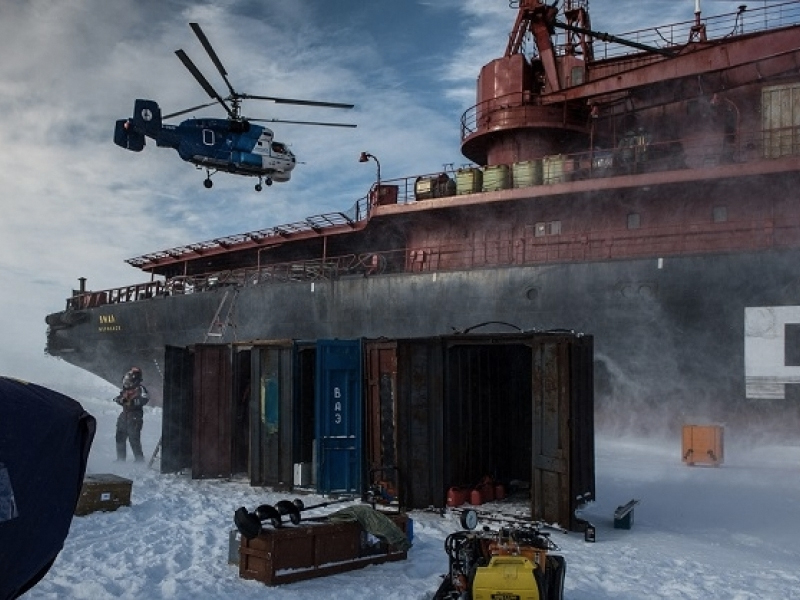 The drilling of the well comes as Putin puts the Arctic on top of his agenda. Last week, he first visited the Franz Josef Land and subsequently took part in the Arctic Forum, the grand event in Arkhangelsk. In a meeting held during the visit to Franz Josef Land, and in the premises of the Russian Arctic National Park, Putin highlighted not environment and climate change, but the major oil and gas potential of the region. The Russian Arctic zone includes energy resources worth up to $20 trillion, he maintained and said that the country’s production on the shelf by year 2030 will amount to 2,2 million barrels per day. The Laptev Sea is one of several regions of attention. In 2014, Rosneft together with ExxonMobil made a major discovery in the Pobeda well in the Kara Sea. In 2018, the turn will come for the Barents Sea, Rosneft says. Then, in 2019, the company will return to the Kara Sea and also the Russian East Arctic.